We're gearing up for the @bbc_proms Poetry Competition radio broadcast which will be on @bbcradio3 later this evening. Tune in to hear the winning poems inspired by this year's proms programme! 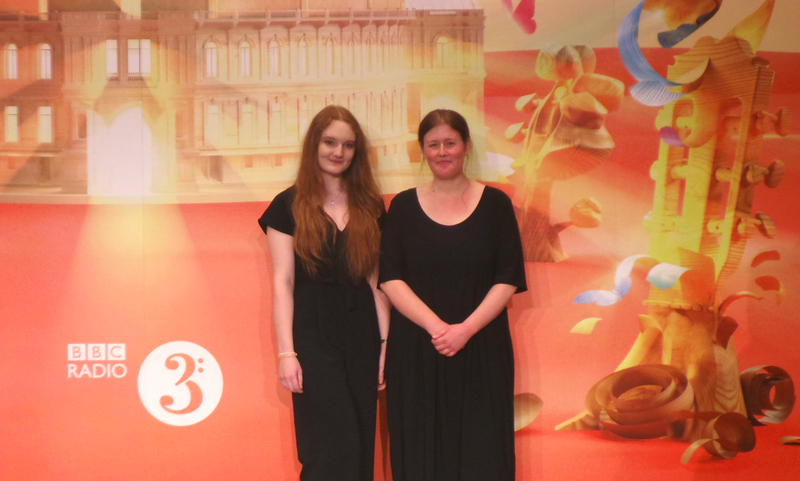 We had an amazing time at the BBC Proms Poetry Competition radio announcement recording on 3 September. Run by the BBC Proms in association with The Poetry Society, the annual competition asks entrants to submit a poem about a piece of music in that year’s Proms season. There are two categories: 12-18 years old, and 19+. 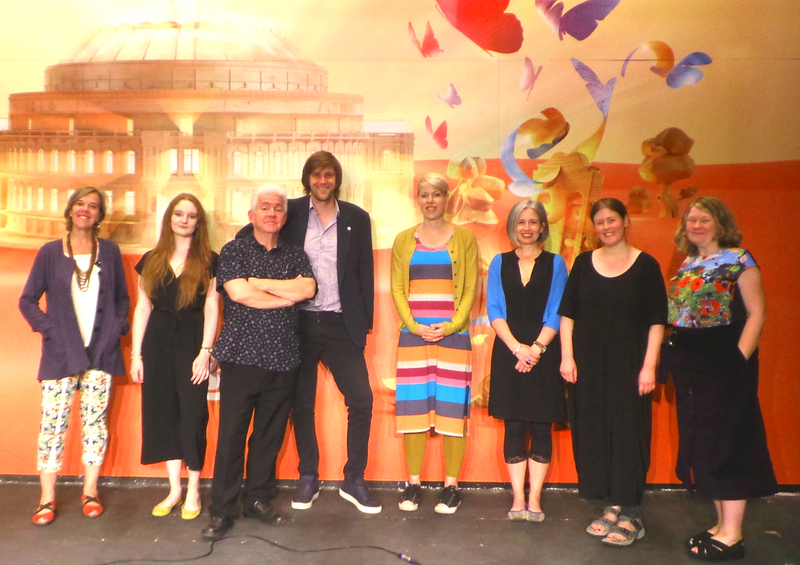 This year’s competition was judged by poet and presenter of The Verb on BBC Radio 3 Ian McMillan, poet and Foyle Young Poet Helen Mort and the Director of The Poetry Society Judith Palmer. The winning poems can all be read on the left-hand-side of this page. All of the winning poems are available to read online. The winners were invited to the BBC Radio 3 Proms Extra show, where the judges announced the winners and discussed why they’d chosen them. Helen Mort said she had been ‘looking for a certain kind of confidence’ in the poems: ‘not arrogance’, just a tone that made the reader ‘feel like you’re in safe hands’. Of the runners up in the 12-18 category, Helen Mort admired Aidan Tulloch for ‘taking on the National Anthem’ – it may even have been the first entry to the competition in response to the National Anthem. Ian McMillan said that ‘the more I read it the more I found in it’, and we recommend you to do the same! All three judges were impressed by the confidence of Mathilde Jansen-Toft’s ‘Forgotten Holst’. Mathilde was the youngest winner and Judith Palmer remarked on such striking lines as, ‘Do not mistake me for wanting a planet.’ This young poet’s voice is certainly one to listen out for. As for the winner? Annabelle Fuller’s poem ‘Ode to Oud’ is a tightly constructed poem whose long and short lines mirror the strings of the folk instrument it describes. For Helen Mort, this ‘joyous and celebratory poem’ is a great example of how rhyme and formal constraints can actually free up a poem, and help create a synergy between poetic form and content. You can listen to the judges unpick these wonderful winning poems on BBC iPlayer. There you’ll also hear the poems performed by actress Carolyn Pickles, and a Q&A with the two overall winners Rachel and Annabelle – listen before the show disappears. The overall winners: Annabelle Fuller and Rachel Curzon. We caught up with Annabelle Fuller at the recording and asked a few questions before the winners headed off to collect their other prize: free tickets to that evening’s Prom. YPN: How does it feel to be the overall winner of your category in the BBC Proms Poetry Competition? AF: Wonderful! It’s the third year that I’ve entered, and I’ve never been to the Proms before so I’m looking forward to this evening. This year I approached the competition in a new way and I think it must have paid off. In previous years, I’d looked at the titles in the Proms programme for a theme or topic to write about, but this year I listened to Jessica Wells’ Rhapsody for Solo Oud and built the poem from the music itself. YPN: Amazing. How did you first come across this extraordinary piece of music? AF: I think I was listening to some of the Proms and this piece was queued up next. When I heard it I thought, I have to write about that. YPN: Do you have any advice for next year’s entrants? AF: Don’t force it – keep listening until you find something that speaks to you. You can listen to Annabelle talk about her writing process, and hear all the winning poems on BBC iPlayer for the next 30 days. The Proms is an eight-week series of music concerts and other events, held mainly at the Royal Albert Hall in London, which you can find out more about here.